Protect for Ponds - Aquascape, Inc.
Aquascape Protect for Ponds uses an all-natural formulation of tea tree oil and other plant-based biopolymers to effectively protect pond fish. The special formulation effectively reduces fish stress, prevents parasites and bacterial infections, and accelerates the healing of superficial wounds, scrapes, cuts, and breeding abrasions. 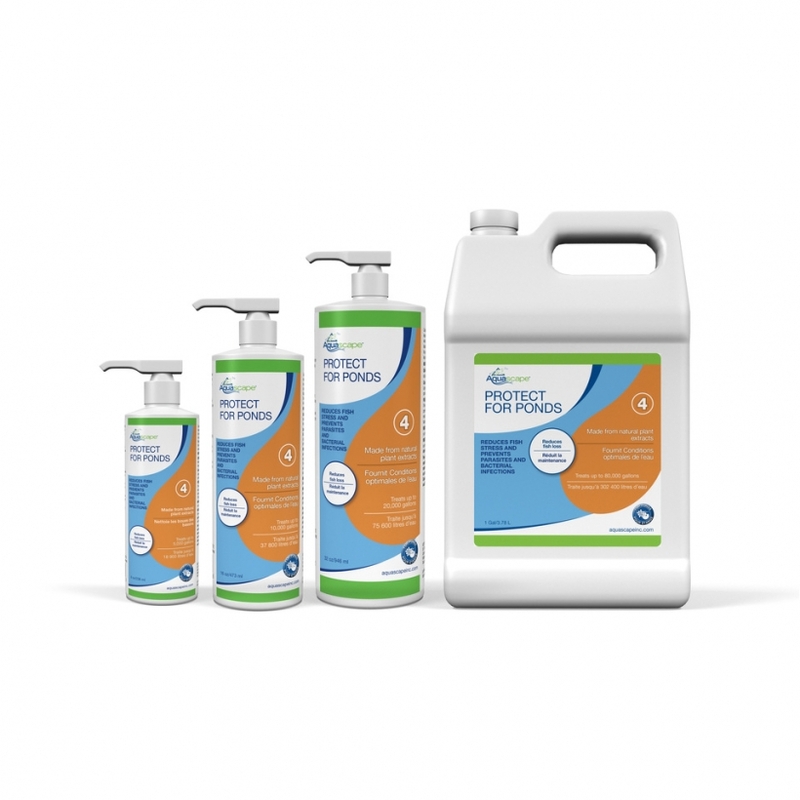 Protect for Ponds is great for use after handling fish, performing pond clean outs, or conducting water changes. The treatment will not discolor pond water and is safe for use with biological filters. Protect for Ponds is safe for fish, plants, pets, and wildlife. Accelerates healing of superficial wounds, scrapes, cuts, and breeding abrasions.